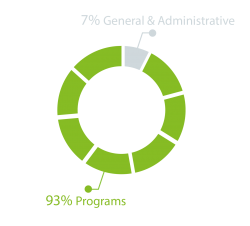 When you donate to IhsanRD, the donation goes through a process to ensure that we maximize its value – squeezing every penny to fund our programs – helping people to have a better life. Ihsan for Relief and Development has been and will always be good stewards of your very valuable and appreciated donations. Not only in front of our donors and partner but also, in IhsanRD, we maintain transparency and accuracy in front of beneficiaries and ourselves as well. We believe that quality, efficiency, transparency, and credibility are the keys to success, through which we strive to reflect these values in reality.